Bruce A. Provo – Founder and President: Mr. Provo has been involved in the management of real estate and other asset portfolios since 1979. Since he founded The Provo Group, Inc. (“TPG”) in 1985, Mr. Provo has been its President. 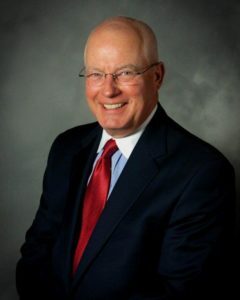 From 1982 to 1986, Mr. Provo also served as President and Chief Operating Officer of the North Kansas City Development Company (“NKCDC”), North Kansas City, Missouri. NKCDC was founded in 1903 and the assets of the company were sold in December 1985 for $102,500,000. NKCDC owned commercial and industrial properties, including an office park and a retail district, as well as apartment complexes, motels, recreational facilities, fast food restaurants, and other properties. NKCDC’s holdings consisted of over 100 separate properties and constituted approximately 20% of the privately held real property in North Kansas City, Missouri (a four square mile municipality). Following the sale of the company’s real estate, Mr. Provo served as the President, Chief Executive Officer and Liquidating Trustee of NKCDC from 1986 to 1991. Mr. Provo graduated from Miami University, Oxford, Ohio in 1972 with a B.S. in Accounting. He became a Certified Public Accountant in 1974 and was a manager in the banking and financial services division of Arthur Andersen LLP prior to joining Rubloff Development Corporation in 1979. From 1979 through 1985, Mr. Provo served as Vice President – Finance and then as President of Rubloff Development Corporation. The Provo Group, Inc (“TPG”) was founded in 1985 to provide an alternative for the sophisticated investor — an alternative to the syndication fervor of the late 70’s and early 80’s. Unlike syndicators and brokers, TPG is paid for performance, not promotion. TPG emphasizes client service, not brokerage and sales. Its staff is dedicated solely to creating value in your properties — without the conflicts of interest inherent in other real estate organizations. To grow a company sought after by public and private investors to bring integrity to the management of their assets. The organization communicates vertically and horizontally to provide our clients with a knowledgeable “team”. We are independent of thought and spirit but never arrogant. We believe in accountability not entitlement. We are in business — and business is positive cash flow. Our openness reflects our commitment to integrity. We are committed to the “right” results. We are respected for being shrewd and honest. We are tough when required but always fair. We are taken into our clients’ confidences because we keep their confidences. We will never hide a conflict of interest –even the potential for only an “appearance” of conflict. We are confident that core values will win over expediency. Our clients always deserve great service. We are proactive managers, never caretakers. We participate in value creation by being at risk side by side with our clients and investors. Our civility is rooted in our consideration for others. We are self confident enough to take life as it comes and combat daily anxiety with humor and persistence. We expect all employees to be self starters, professional, creative and honest. Nothing less. We have a responsibility to create an organization that allows each employee the opportunity to be the best they can be. We believe in the power of good families and strong relationships. We want to enhance the quality of everyone’s life who becomes associated with TPG. Copyright © 2019 The Provo Group. All rights reserved.